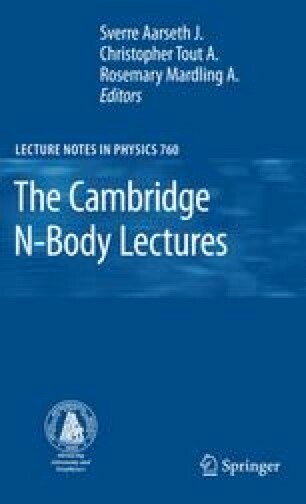 In this chapter, I explain how the evolution of an N-body system can be described using a formalism explicitly based on the distribution function in phase space. Such an approach can be contrasted with direct N-body simulations in which the trajectories of a large number of particles are integrated. Because trajectories with close initial conditions diverge exponentially in gravitational N-body systems (Goodman et al. 1993; Hemsendorf & Merritt 2002, and references therein), most results of N-body simulations must be interpreted statistically. It is therefore interesting to consider the simulation methods that treat the gravitational system in an explicitly statistical way.